For more than forty years Victor Israelyan served in the Soviet Ministry of Foreign Affairs, rising through the ranks to become one of the Soviet Union's leading diplomats specializing in disarmament negotiations. He was forced to retire in 1987, a casualty of a system that was about to collapse under the weight of its contradictions. 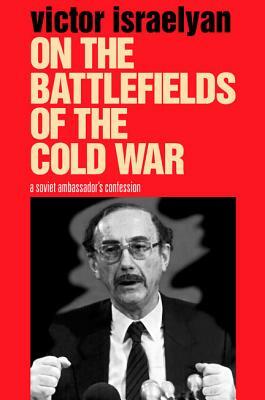 On the Battlefields of the Cold War offers unique insight into the volatile inner workings of the Soviet Foreign Ministry, where the battle lines of the Cold War were often first drawn. Israelyan has no patience for those of his compatriots who argue that Soviet foreign policy was ultimately just, save for a few "aberrations" such as the invasions of Hungary, Czechoslovakia, and Afghanistan. These acts were intrinsic to the system, and without them the mighty Soviet Union would not have existed as long as it did. The very foundation of Soviet foreign policy, therefore, was untenable, and the entire structure it supported was destined to implode. Israelyan brings to this memoir a wealth of experience, having worked with all the postwar Soviet foreign ministers--from Molotov and Vyshinsky to Gromyko and Shevardnadze--and established diplomatic ties to the West, particularly to the United States. As part of the middle tier of the diplomatic hierarchy, he was privy both to meetings of the Collegium of the Foreign Ministry as well as to the many informal, private discussions among rank-and-file diplomats. Israelyan explains how he and his colleagues, as faithful defenders of Soviet ideology, viewed the United States, the Soviet Union's main adversary and partner. He tells of distinct factions within the Soviet foreign policy apparatus--factions that Soviet leaders sought to hide, fearing that any internal divisions might be interpreted by outsiders as discord. This aging Cold Warrior--one who accepts that he belonged to the party that lost the war--relates a deeply human story whose legacy continues today.